Here you can learn all about the life and writing career of Wayne D. Overholser. A member of an elite group of Western writers with 100 or more books to their credit, Wayne began writing for pulp magazines in 1936, and rose to eminence in the field after publication of his first novel, Buckaroo’s Code (1947). In addition to his novels, Wayne completed over 400 short stories during his illustrious 60-year writing career. 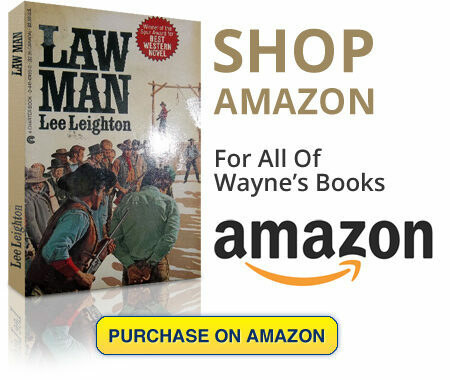 Wayne's ability to create intriguing plots with compelling characters is well known in the western writer community. 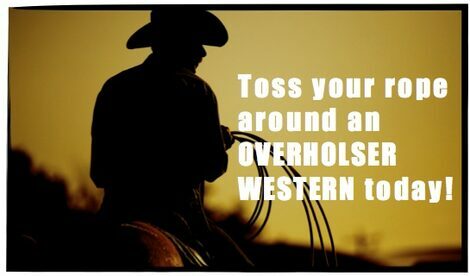 Please enjoy looking through this website and then go to the shop page and treat yourself to a great Overholser western adventure today! Wayne was a humble man despite his great accomplishments as a writer. He let his story telling do the talking. He won the Spur Award three times. Winning the Spur is like winning an academy award for the movie of the year. 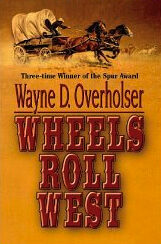 It is given by the Western Writer's Association of America for the best western novels of the year in several categories. Read more here ». Wayne won this prestigious award in 1989. 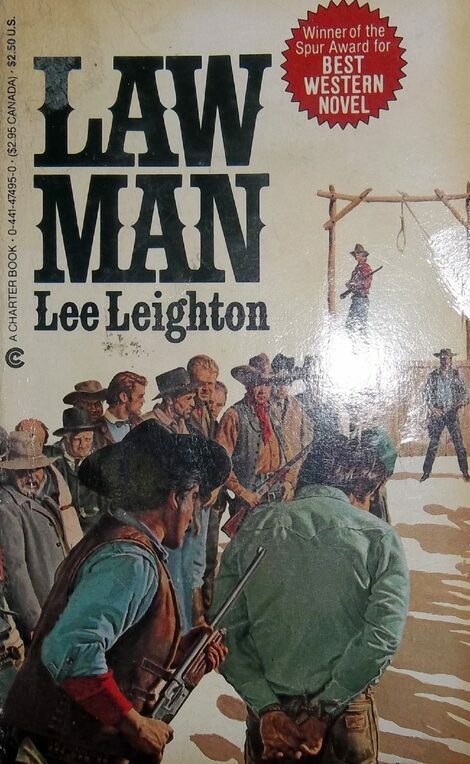 Originally, the Saddleman Award was given to the author of the best book of the year (from the then five Spur categories: nonfiction, historical novel, novel, juvenile, and “short material”) but in 1967 was designated for “Outstanding Contributions to the American West”– a rule change that allowed the award to be given to non-writers such as John Wayne, John Ford, and Clint Eastwood. Levi Strauss sponsored the Saddleman for thirty years. The polished bronze statuette of a cowboy (in Levi’s, of course) with a saddle slung over his right shoulder, a branding iron in his left hand — was the work of Bay Area sculptor Spero Anargyros. This is not your typical action western. The story depends more upon the development of the characters, especially the protagonist - the strong willed sheriff of a small western town. The story brings out the realities involved in representing the law during this time period. He's torn by many concerns; farmers pushing out the ranchers, ranchers responding violently, a daughter engaged to a behind-the-scenes leader of the ranchers and their violence, a killer (hired by the ranchers) that needs to be hung, and politicians that want to call in the troops. There's even contrast between the town's two churches and their pastors about the situation. I thought the author did a great job in bringing out the tension involved in a 24 hour period leading up to a hanging. The sheriff faces the events with a steely character and code of ethics, but he also goes through a bit of a self-revelation and admission of need in his life. You get the drama and tension of the old "High Noon" movie. I'd highly recommend this as a good leisure read that will engage you in the lives of some very believable characters. 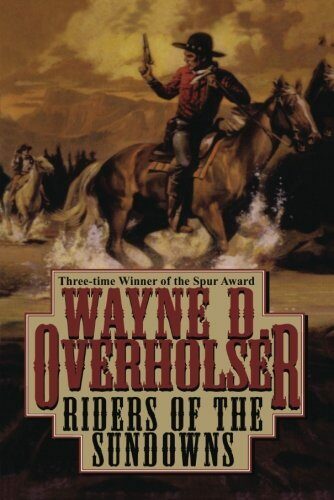 Buckaroo's Code was Wayne Overholser's first novel and many people think it was one of his best. I agree. Overholser's strong, vivid writing is very much in evidence here. Wayne Overholser was a prolific writer who maintained a very high standard of quality. That quality is also apparent in Gunlock the shorter, accompanying novel. The stories in this book are well written. The plots feature worthy characters confronting the challenges of life in the west with dignity and the strength of their personhood. Men are women are both complimented. The stories are interesting, filled with danger and adventure and leave the reader both satisfied and sad that the story is over. 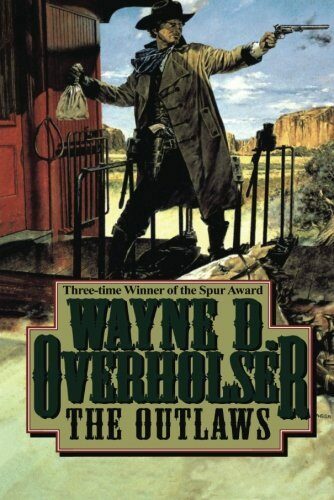 Wayne D. Overholser's last western is a joy to read and a fitting tribute to an outstanding talent. Del Delaney is accused of a crime he didn't commit and he takes to the outlaw trail, so to speak. He is a good man, and the story revolves around this. Overholser casts his spell with strong characterizations and vivid writing. A fond farewell from this great western writer. The three short novels in this brilliant collection amply demonstrate the range of imagination and depth of characterization that mark Wayne D. Overholser's Western fiction. "The Leather Slappers" is set in Colorado, where a company employee is having second thoughts about the way his employers are seizing homesteads. In "The Fence" an Oregon sheriff has to protect his former fiancee after her father and grandfather are brutally murdered. And the title tale features a man battling a family's prejudices to win the hand of the woman he loves. Three very different views of the Old West--but each one a prime example of Overholser at his best!